A police investigation is under way into a fire at a farm near Ellon. Around 50 bales of hay were destroyed in the blaze at Fortree Farm about 9am on Friday. Inquiries are at an early stage, but officers are keen to speak to anyone who was in the area near the time of the incident and has any information relating to the crime. 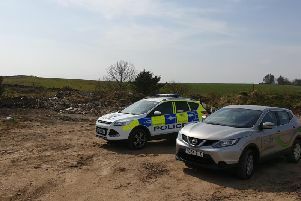 Inspector Jamie Harrison, of the Formartine Community Policing Team, said: “This incident has had serious financial implications to the owner of the bales and this mindless act was completely without thought for the consequences.